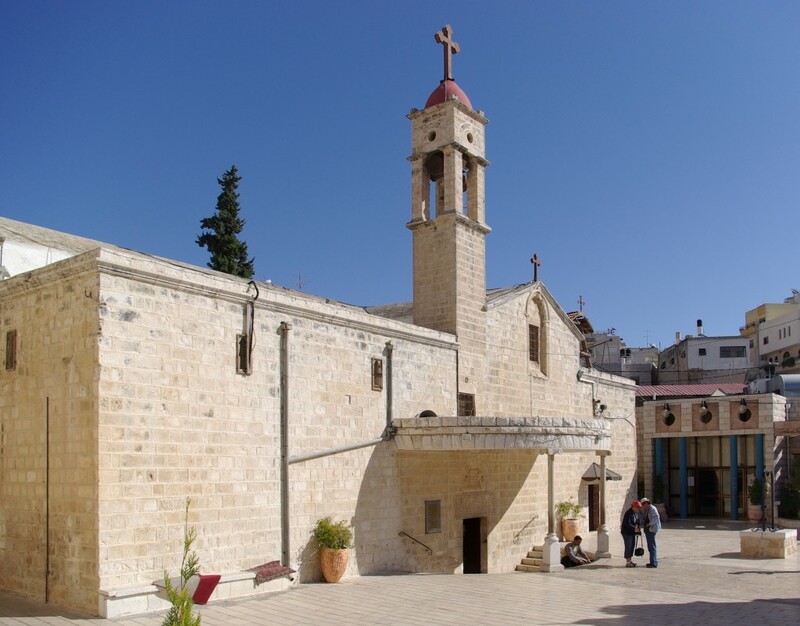 The Greek Orthodox Church of the Annunciation, also known as the Church of St. Gabriel or St. Gabriel's Greek Orthodox Church, is an Eastern Orthodox church in Nazareth, Israel. Likely first established in Byzantine-era Palaestina Prima, it was rebuilt during the time of the Crus ades, and again in the 18th century under the rule of Zahir al-Umar, the Arab governor of the Galilee. Known colloquially among the Greek Orthodox worshippers of Galilee whom it serves as Kniset el-Rûm[i], or Church of the Eastern Romans in Levantine Arabic, the church is located over an underground spring, which according to Eastern Orthodox belief is where the Virgin Mary was drawing water at the time of the Annunciation.